the Italian company in the market of Rolling Stock since the 90’s, is more and more focused in multimedia products and systems. This advertorial shows a few devices designed and produced by the company, with the aim to put in the best features you can imagine for each of them. Each kind of installation is based on specific requirements that allow to satisfy the relevant needs and functionalities, including a proper mechanical optimization. 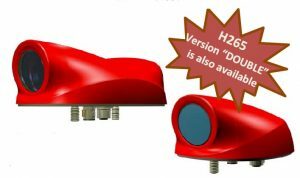 High quality image ‘backlight’ sensor, for better sensitivity in low light conditions (about twice that a non-backlight sensor). Resolution of the Image Sensor: 1920 x 1080 (‘full HD’). Pixel pitch: 2.9 x 2.9 micron. Frame rate: 60 frames per second. Wide choice of Optics to meet the application needs which the camera is destined in its different declinations (for example: internal for ‘Video surveillance’ and ‘Track View’, external for ‘Rear View’ and ‘Door View’). Depending on the needed application, it is possible to guarantee different angles of view till to 180° (‘Fish eye’) thanks to the availability of special miniaturized optics that can be applied as options. Image processor equipped with hardware and ‘ISP’ (‘Image Signal Processing’) dedicated for the optimization and processing of high-performance images with high quality level and ‘Codec’ hardware ‘H264’ + ‘HEVC’ (‘ H265‘). Based on 32-bit ‘dual core’ ARM A9® processor with Linux Operating System. Processable resolutions: up to 1920 x 1080 (‘full HD’). Processable frame rates: up to 60 frames / sec. Rotation in 90° steps (‘landscape’ and ‘portrait’ mode). ‘On Screen Display’ (‘OSD’) with the possibility to insert date, time and title (option). ‘Motion detention’ with alarm signal programmable via Ethernet port (option). ‘RTSP’ protocol for ‘streaming’ of the images. Possibility to generate up to three ‘streaming’ streams simultaneously with different resolution configurations, ‘frame rate’, codec and compression factor. The “Multimedia RECORDER” is a family of high performances and high capacity network Video and Audio Recorders designed for high quality and high frame rate image recording for surveillance inside of trains, trams, metro and any rails vehicles. is based on rugged, State of the art, Solid State Disk Storage (SSDS) technology. The modular construction and the wide availability of SSDS capacities and technologies, allow to tailor-made the product at exactly the application requirements. – Each ‘SSDC’ can be independently removed and replaced. – A ‘SSDC’ supports up to five ‘Solid State Disk Unit’ (‘SSDU’) having a 2.5” form factor. – A ‘SSDU’ can have a storage capacity of 1 Terabyte or 2 Terabyte. Accounting all possible combinations, the Storage capacity of the “Multimedia RECORDER” family spans from 1 Terabyte to 40 Terabytes with different intermediate sizes. is a centralized processing and storage Unit, perfect solution for any kind of integrated Passenger information, Passenger entertainment and multimedia experiences systems in a trains, trams, metro and any rail vehicles. “Multimedia SERVER” combines in one device impressive processing power, huge storage, extremely performing connections and networking resources, low power consumption, high reliability and long life cycle. Every information, entertainment and high performances and high capacity network. The “Multimedia SERVER” is based on powerful 64 bits quad core ARM® architecture supported by 4 or, optionally, 8 Gigabytes of ‘DDR4’ main Memory. A strong support of high speed interfaces, mainly ‘Sata’, Ethernet’ and ‘PCIe’, coupled to the high performance cores and data paths, allows the execution of many different high demanding tasks, including the streaming of multiple high quality video. The “Multimedia SERVER” family includes a rugged, State of the art, Solid State Disk Storage (SSDS) technology. The modular construction and the wide availability of SSDS capacity and technology, allow to tailor-made the product at the application requirements. The “Multimedia SERVER” is powered by an internal ‘Universal range’ Power Supply. A special ‘Back-up’ Module, based on a Supercapacitors technology, assures safe and controlled shutdown of the products in every conditions, avoiding the risks of corruption of the stored video or the whole ‘File system’. “TrainPAD® (ETH)” is a high quality device featured by a 9, 10.6 and 12.1 Inches high resolution LCD display with robust ‘multi-touch’, stereo audio with optional Bluetooth interface, Ethernet port with Power Over Ethernet (‘PoE’) and other advanced and attractive features. 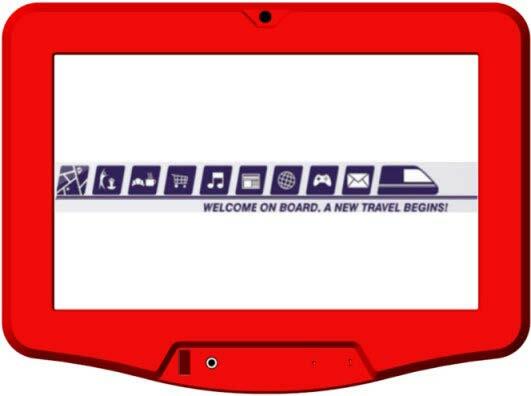 A compact, low power, high performances and light weight design, makes “TrainPAD® (ETH)” a truly surprising high performance device for individual, highly enjoyable, on train entertainment offer. 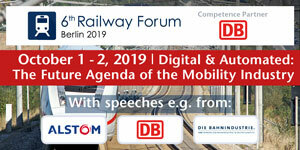 “TrainPAD® (ETH)” brings the well-known and universally appreciated user experience, performance and versatility of ‘pad’ devices on a train, jointly to the high level of robustness and reliability required by the rail standards. For the first time on a public ground vehicle, “TrainPAD® (ETH)” offers a virtually unlimited set of top class multimedia services, including the chance to get the most fascinating and trendy ‘APPs’ from the ‘APP’ stores on the world, or to enjoy those specifically developed for the rail Operator and its valued Customers. 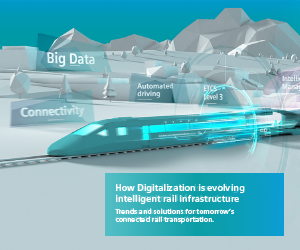 Overall, TrainPAD® can be continuously updated with new services, features and attractive ‘APPs’ and can be foundation for a promising new business model for the rail Company. The ‘PoE’ supply can be produced by the dedicated Ethernet Switches connecting the ‘Multimedia Server’ to the “TrainPAD® (ETH)” units. 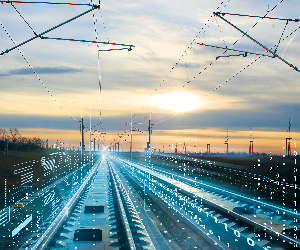 A single Ethernet Switch by Dot System can be used to connect up to sixteen “TrainPAD® (ETH)” units at one, two or five gigabit Ethernet backbones. This Ethernet Switch implement the ‘PoE’ for all sixteen “TrainPAD® (ETH)” units over 100 megabits connections. “TrainPAD® (ETH)” is equipped with a rugged, high sensitivity multi-touch retro-projected capacitive Touch panel. The Touch panel is laminated on the LCD Display for the best reliability and image quality. The LCD Display, based on the latest ‘IPS-TFT’ technology, offers ‘FHD’ grade resolution2, full colours, very wide viewing angle3, high brightness and high contrast exalting the user experience.